Should You Pay for a Rental Car Insurance? Home » Insurance and Risk Management » Should You Pay for a Rental Car Insurance? When it comes to the optional insurance offered when you rent a car, many people are on the fence as to whether they really need this type of coverage. The fact of the matter is many consumers simply do not know what coverage they may already have and make decisions based on incomplete information. This can result in a person having too much or in some cases too little coverage should an accident occur while they are driving a rental car. There really is no cut and dry answer on this topic; instead every person renting a car should consider the individual situation and the coverage they already have available in the form of personal auto insurance or protection through their credit card company. The following tips can make it easier to understand an often confusing situation. Do not automatically assume your personal auto insurance extends coverage to a rental car. While most auto insurance policies do offer collision and liability protection for policy holders driving a rental car, it is better to confirm this in advance. Each policy is different and there are different rules depending on the state in which the policy is issued. If you are unsure what protection your policy offers, contact your insurance agent to ask specifically if rental cars are covered and if so, exactly what you would (or would not be) responsible for in the event of an accident. Keep in mind that many major rental car companies require that a person renting a car have personal auto insurance. If you do not have your own vehicle or coverage under a personal policy, it may make it difficult to rent a car. 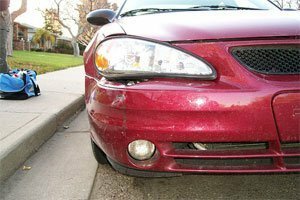 Another important distinction which must be understood is whether your personal auto insurance actually provides coverage in an accident or simply reimbursement should you need to use a rental car as a result of your personal vehicle being damaged. Just as many personal auto insurance policies extend coverage to rental cars, many major credit card companies offer the same perks. Before renting a car, check with each of your credit card issuers to determine which, if any, offer the type of coverage needed to ensure you are protected. Again, be sure to ask specifically what type of damage or incidents are covered and what you may be responsible for paying out-of-pocket should an accident occur while you are driving the rental car. Policies vary and knowing for certain what coverage is already built in will help you decide if you need the additional protection offered by the rental car company. You have checked with your insurance carrier and credit card company to learn what, if any, coverage is offered. If the coverage provided elsewhere is adequate for your car rental needs, you may be able to skip the additional insurance offered by the rental car company. On the other hand, if you do not have insurance coverage or the coverage excludes areas of protection which you need, it would be wise to pay the extra money to cover expenses resulting from an accident. This additional insurance can sometimes double the cost of renting a car, yet it will be far less than you would pay if you opt-out of the coverage and find yourself in need of it. What is an Umbrella Insurance and Do You Need One? Should You Get a Cell Phone Insurance? I always use a visa card which has free rental car damage coverage. I had a claim last year and it was promptly paid and very professionally handled. Better than my own car insurance. Some good tips. I never opt for the rental insurance, although in all honesty, I’ve never confirmed whether my own auto insurance extends coverage to car rentals. I should definitely change my reckless ways. It would be interesting to hear of any real horror stories involving people who opted out of the rental insurance.